In recent years, a number of serious accidents have occurred in chemical production facilities. Many of these accidents have resulted in severe injuries, or even to the death of plant operators, and have often had a dramatic impact on the local environment. In many cases, thermal runaway reactions were the primary cause of the accidents. 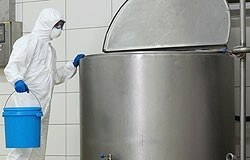 An efficient thermal screening system for chemicals and chemical processes is therefore crucial for reducing accidents in the chemical industry. In general, DSC is used if the focus is on thermal safety aspects of individual chemicals. Reaction calorimetry is used to provide safety information with respect to processing, for example, it allows us to determine the heat flows that occur during the dosing of reactants or during stirring. The main applications for TGA have to do with evaporation, desorption and vaporization behavior, thermal stability, and the kinetics of decomposition. 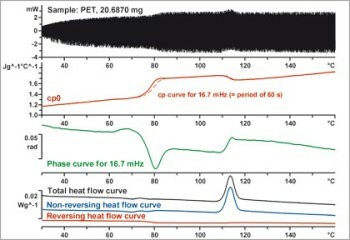 Information about the products evolved during a decomposition reaction can be obtained if the TGA is combined with an evolved-gas-analysis technique such as FTIR, MS, or GC-MS. In addition, the DSC signal simultaneously recorded with some of METTLER TOLEDO's TGA instruments measures the melting point or melting range of a material.